We are always happy to speak to you on the phone or via email. You can also have a look here at our frequently-asked questions. Print4London.com is one of 13 brands operated by Formara Limited (“Formara”), an Essex-based print and design company that has been in operation since 1971. We have clients all over London, and in fact, the UK and worldwide. Our clients work in a variety of industries – from universities to finance to manufacturing…we also have sole traders like yoga teachers and SMEs as well as local councils in our portfolio. Our clients include University College London, The London Business School, London Southend Airport, Canon and Fitch Learning. Print4London.com exclusively serves clients in and near London. 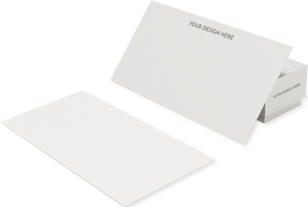 Besides printing brochures, leaflets, stationery, posters and banners, we also provide a direct mail marketing service as well as on-demand printing and print personalisation. We manage the whole print process end-to-end. This means, we design, print and deliver everything ourselves. Print4London.com’s parent company Formara is registered at 16 The Candlemakers, Temple Farm Business Park, Southend-on-Sea, Essex SS2 5RX. Print4London.com is managed from this location. We are happy to design bespoke graphics for you and have in-house designers who can work on your brief. What Kind Of Print Products Do You Have? Our products offering includes brochures and booklets, leaflets and flyers, business stationery as well as large format print such as banners and posters. This means we can print anything from personalised fashion lookbooks to annual reports, to one-off event posters and can also provide your business with regular branded stationery on-demand. Each of our print products can be personalised and adapted to your specific requirements. Do You Print Postcards / Wedding Invitations / T-shirts / Pillows / Bags etc? We do indeed print postcards as part of our promotional print range. We do not tend to print invitations such as for weddings, nor do we print on textiles. I Need A Quote For A Print Order – Where Can I Get That? Please email or call us for a quote. Our customer service team will discuss the exact format, paper type, delivery times etc with you directly and can can give you a detailed price breakdown once we know your order requirements. Getting a quote is usually quote quick. Volume discounts are sometimes available, depending on the exact order size. Generally, the more items you have, the less they cost per item. Contact us to discuss your options. Please call us on 0800 9176377, email us on hello@print4london.com or leave a message under the Get In Touch button. Absolutely. Let us know what you need; we can prepare a sample for you. PDF documents with a high resolution work the best. Please make sure you include cut marks and bleed on the file you are submitting. Speak to us if you want to submit documents in a different format. Submitting files is easy – just email them to us. You can also use Dropbox or other file sharing platforms. Can I Make Changes After I Have Confirmed An Order? Our customer service team will liaise with you throughout the printing process and always send proofs for you to confirm that you like the look of the product. If you change your mind after confirming a final proof, please contact us as soon as you can. Depending on which stage we are with printing your order, we may be able to cancel it to make further changes. In many cases, we will be able to amend your order. Do You Have An Automated Service For Ordering Print? We have a dedicated print on demand service, which enables you to order as few or as many products on an ad hoc basis, whenever you need them. This service is ideal if you need to print training manuals, for instance, but only need them when you have new clients. Our processes for repeat orders are quick and easy. You can re-order a project ad hoc or set intervals at which you want to receive a new set of prints. It is completely up to you. Although Print4London.com was set up to serve the London business community, we are able to deliver throughout the UK. Sometimes, a London business will be exhibiting in a different city, or needs to send brochures to another location outside of London. That is no problem for us. We can in fact deliver throughout not just the UK but also Europe and even the world. We have worked hard to build a reputation based on excellent customer service and that includes timely deliveries as well. Late orders should not be happening – ideally. Unfortunately, we cannot guarantee what will happen once your order leaves our warehouse. If a late delivery does occur, it gets handled as part of our ISO 9001 Quality procedure. We will investigate the late delivery internally and will respond to you based on our findings, advising you on how to proceed. We will use our own vans, reputable courier companies and the UK Postal system to deliver your product either to you or directly to the doorstep of your clientele. UK deliveries are generally straightforward, and we can deliver overseas if necessary. We are also experts at Direct Mail and have contracts in place with Royal Mail, OnePost and Secured Mail to ensure we can offer you then most competitive postal discounts. If you decide to cancel an order once we have already commenced printing it, will be liable for a charge as part of our standard T&Cs. Please let us know as soon as possible if you need to cancel an order. Our delivery fee is calculated into your print costs and standard selivery to one UK address is free of charge. If you need us to deliver your print to different locations, we can calculate that into your order as well – please let us know upfront. We will do our best to match the colours in the documents that you submit. However, we cannot guarantee an exact colour or texture match between your original item and the printed item. We will get as close to the colour as possible and advise you of any deviation before finalising the product. We recommend that you select a Pantone colour to ensure the best chance of accurate colour matching. If you require an absolute colour match, please ask our customer service for a machine proof; the cost of it will be quoted at the time of the request. A proof is a copy of the final product. Seeing it will give you the opportunity to request changes and to check that the documents looks how you wanted it. This is a crucial step in the print process and it is in your best interest to look at proofs. Please let us know as soon as you notice an issue with your order. We take every possible precaution when printing and ensure that our customers are satisfied with the product by sending proofs for approval. In the unlikely event that you are not satisfied with the final product, we will try our best to resolve the issue. We take quality and customer service very seriously and any complaints will be handled as part of our ISO9001 Quality procedures.